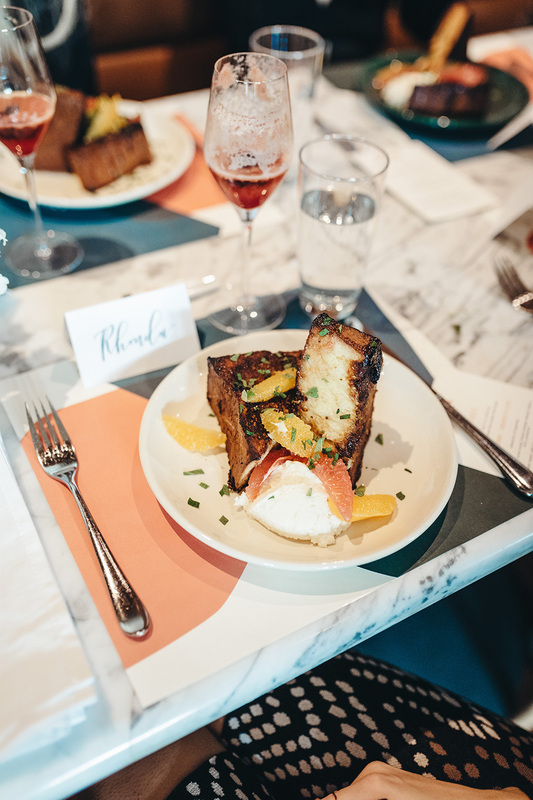 It's 2019 and we wrapped up another year of amazing brunches in 2018, ending the year strong with a brunch at Harlowe MXM! 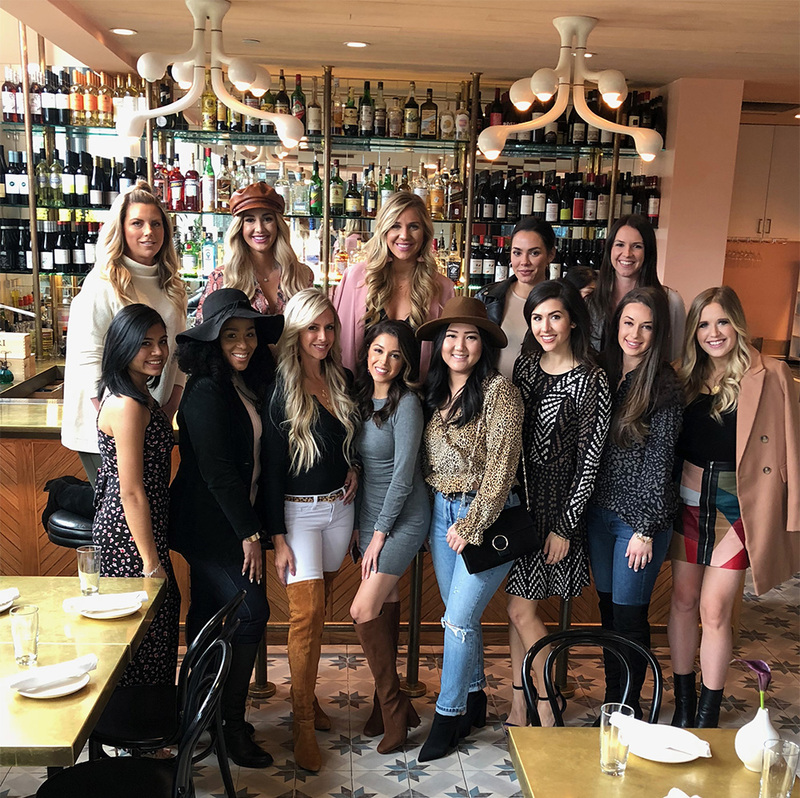 We had the best time at our first Dallas Blogger Brunch of 2019 at Sassetta, and couldn't have asked for a better start to the year! 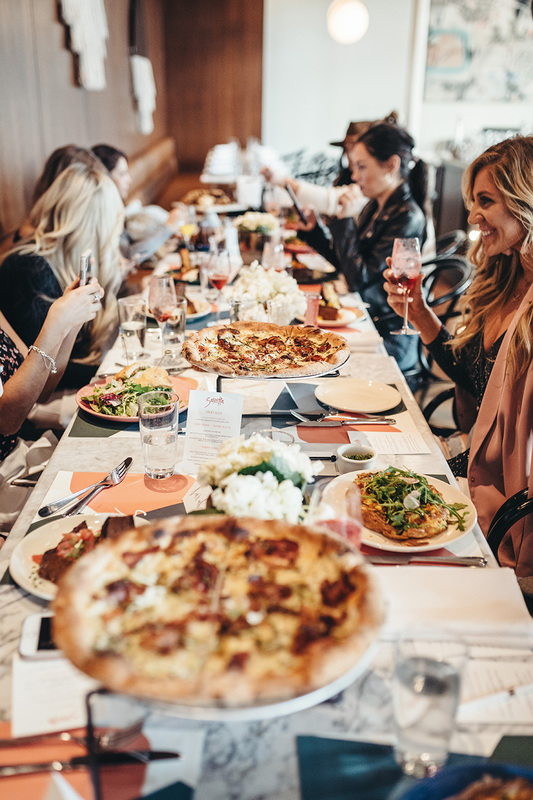 I have loved hosting Dallas Blogger Brunch for four years now, and each brunch is so special thanks to our restaurant hosts and our amazing guests! Sassetta is beautiful and modern and doesn't need much added to the table to make it feel special! 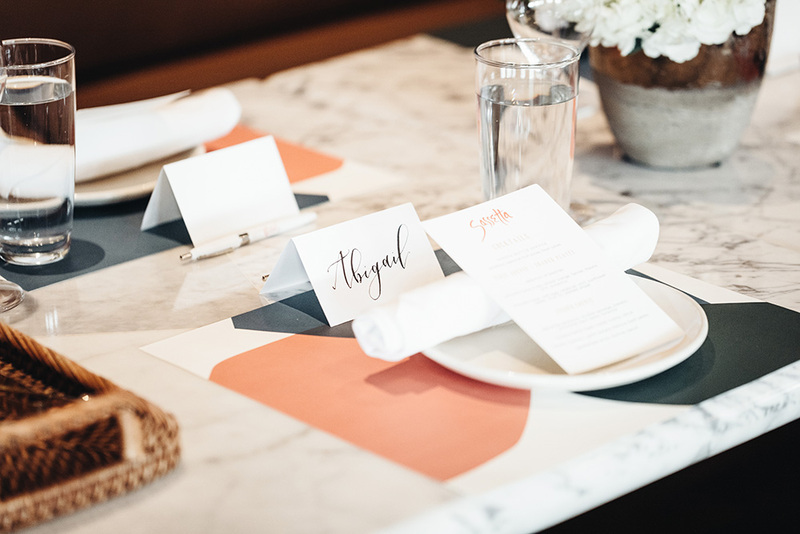 Our classic place cards were created by Erin Semple from Words Made Semple, and there was a little surprise on the inside of the card- a space to write out goals for the year! We stopped to think about goals for the year, and I encouraged our guests to chat about their goals with their neighbors! 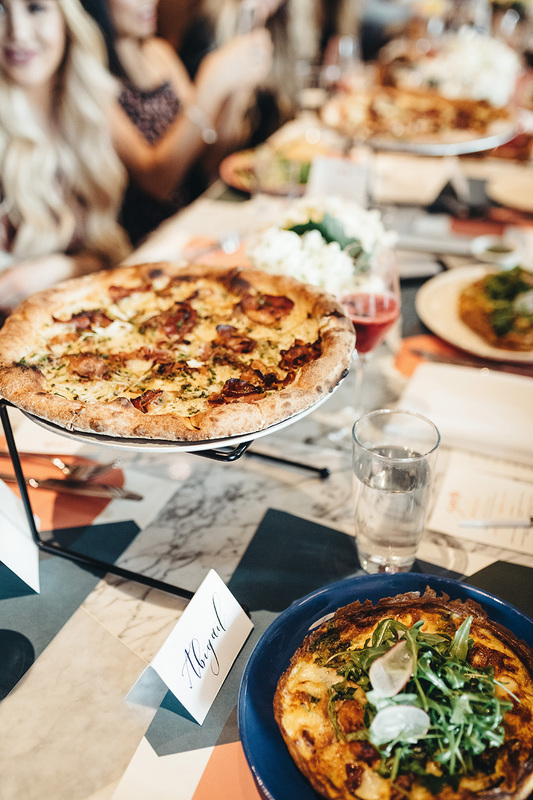 It's so important for us to go deeper in conversation than just talking about Instagram or blogs, so I love looking for ways to incorporate activities that prompt deeper conversations with each other. 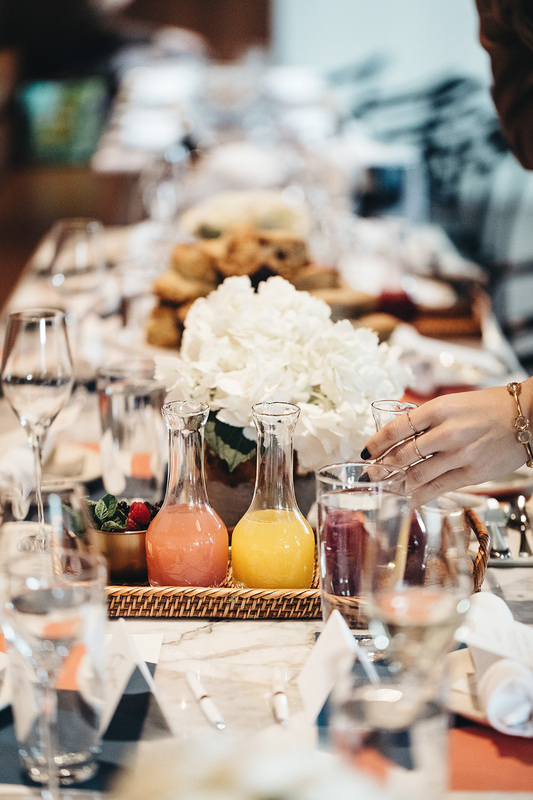 Of course, we enjoyed mimosas, and Sassetta has a beautiful presentation of juices for their mimosa bar at the table! I love a classic mimosa, but my favorite at Sassetta was the raspberry lemon! I will tell you now: if you love carbs like I love carbs, definitely get their "selection of pastries." You will thank me later. All I will say is... jalapeño cheddar biscuit!! 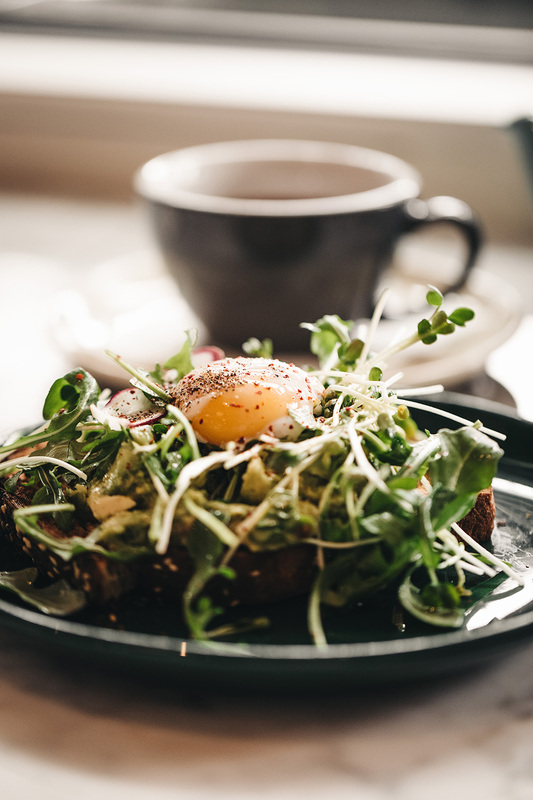 If you love avo toast- their avocado toast was picture-perfect and all of the girls loved it! Sassetta is known for their pizzas and we tried the caramelized onion, fontina, and bacon pizza -it was amazing! I'm looking forward to going back soon to try another pizza! You KNOW that I ordered the Brioche French Toast with honey ricotta- it was HUGE! I couldn't believe it! It was almost more like a bread pudding- so thick and delicious! 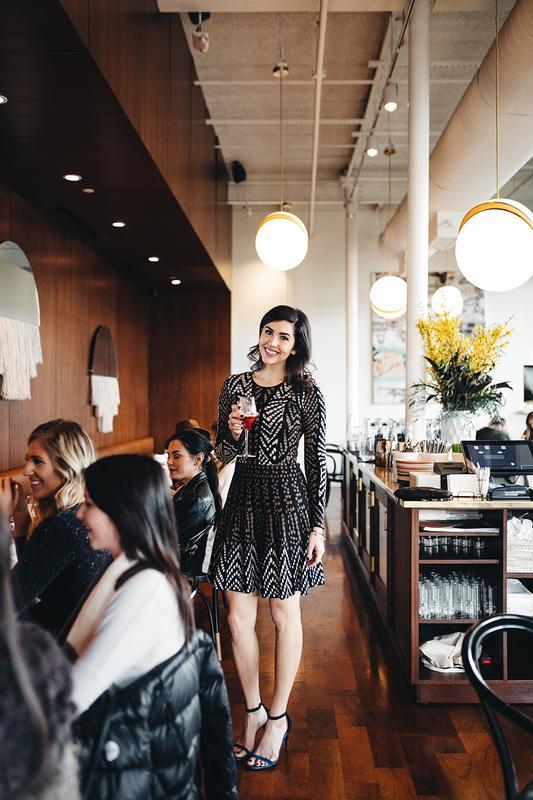 I always love getting ready to order because all of the girls ask what each other are ordering and we try to coordinate variety amongst our dishes, but the French Toast sounded so good that the 3 girls around me all ordered it, and we didn't care! Other favorites were the egg white sandwich and the frittata! Everything I sampled from the other girls was delicious! 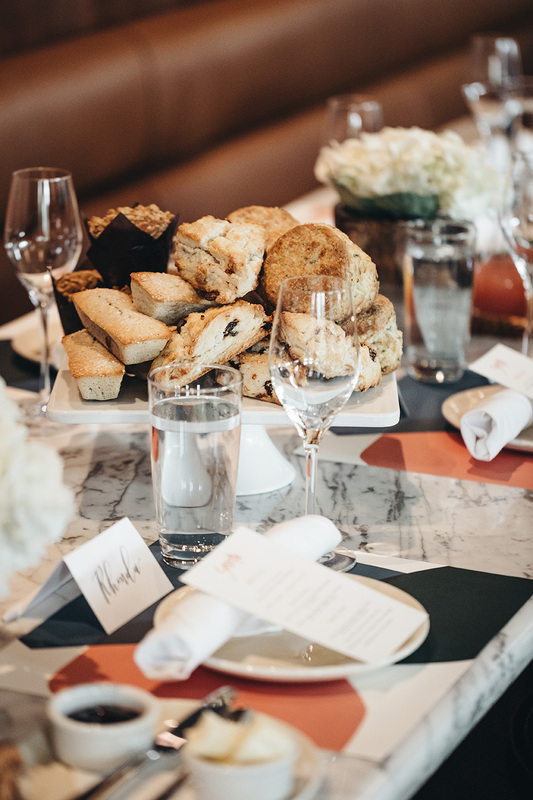 Thank you to Sassetta for having us and to BECKLEY CO. for capturing these beautiful photos of brunch.